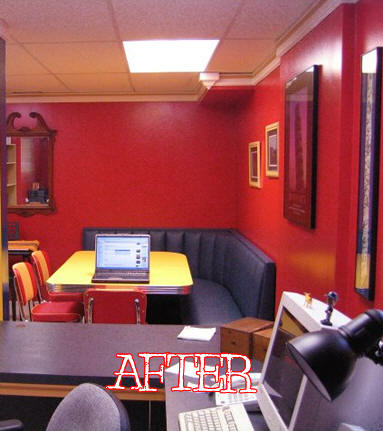 Wow your retro office furniture turned out great! Check out the “before” picture! 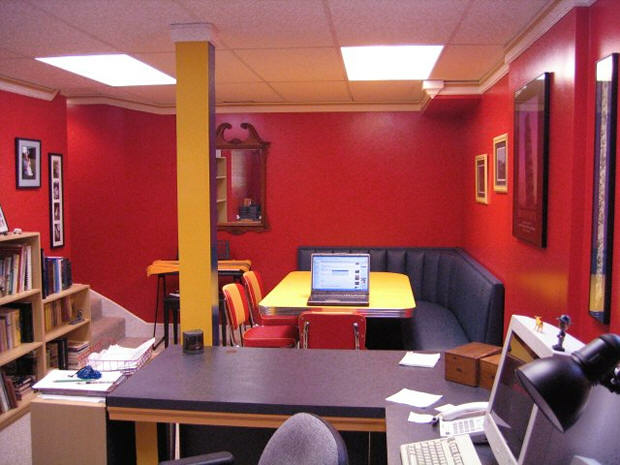 What a great combination of color in this office! All we have to say is Job Well Done! We designed a Custom “L” shape booth that was made to fit into the corner of this office. The custom table was laminated in yellow and finished with 2.25 inch real metal banding. The tables rests on 2 premium chrome column bases and is complemented by three coordinating chairs! Thanks for letting us be part of this remodel! Your choices were right on the mark! The office looks efficient AND beautiful! 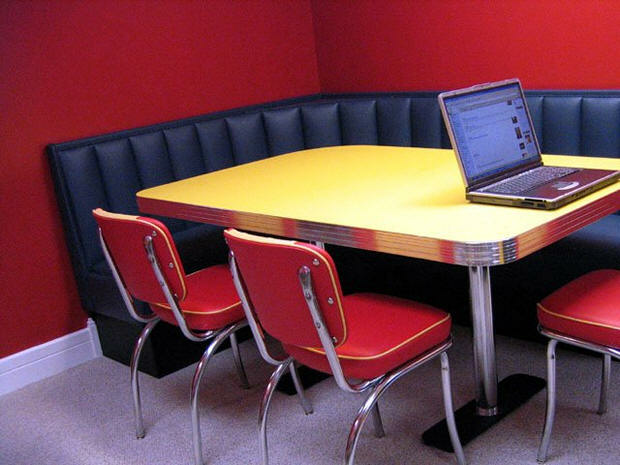 Most importantly, you have inspired many other customers to create their own retro office! 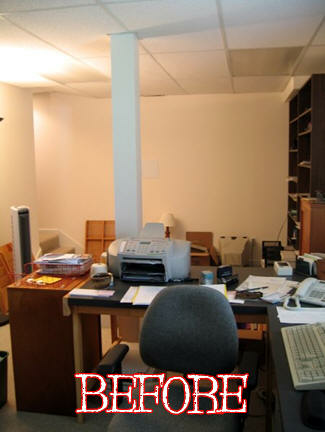 To get more information on our retro office furniture send us an email or call 304-728-0547.